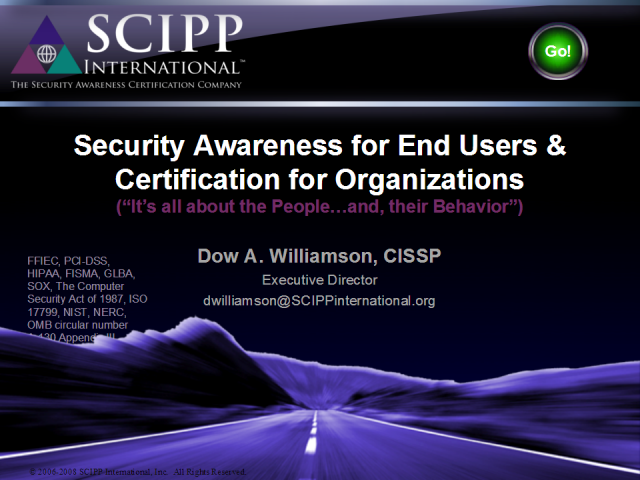 Dow Williamson, CISSP, Executive Director, SCIPP International, Inc. This session will provide a detailed overview of the training courses and certifications offered by HP Education and its authorized training partners. It will provide recommendations on how to: best determine what training and certifications you require, obtain maximum benefit from the training, and tips on preparing for the certification exams. An overview of Nortel Professional Certification and its value to IT professionals. The Digital Forensic Certification Board exists to promote professionalism, trust and confidence in the digital forensics profession by providing professional certifications. This channel features live and recorded audio webcasts by leading certification and training experts. Hear from certified and trained professionals as well as certification and training providers. These presentations will provide you with the information you need to make informed decisions about what's right for you and your career. Presented by: Dow Williamson, CISSP, Executive Director, SCIPP International, Inc.